Lamination is so yesterday. 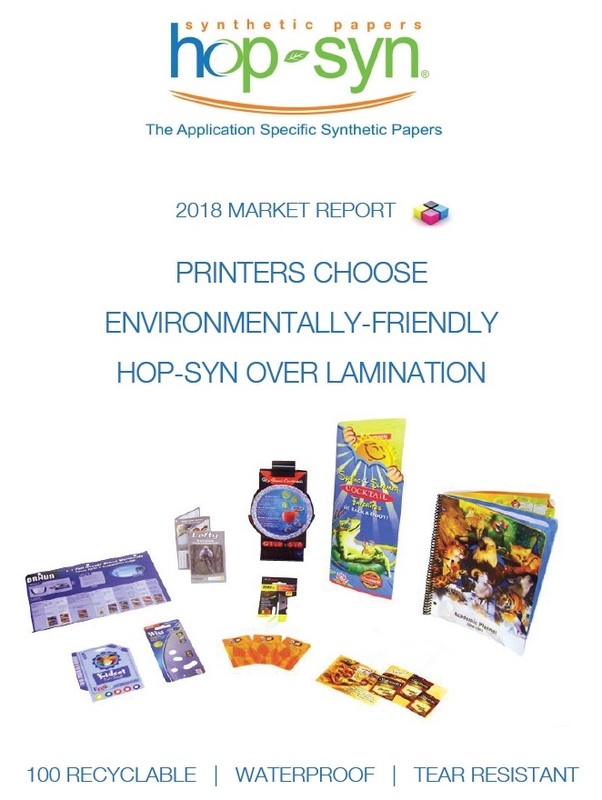 Today’s savvy brand owners and print service providers (PSPs) are choosing Hop-Syn synthetic paper over laminated paper for a number of reasons. Saving money and improving their carbon footprint are two notable drivers. Consumers know that lamination extends the life of pulp-based paper, such as ID cards, flyers and posters. However, there is a high environmental cost due to the harsh chemicals used in the manufacturing process. It also adds time and steps to the the printing and production processes. The plastic layer also drives the printed piece out of the recycling stream. The go-to choice for a lamination alternative is Hop-Syn synthetic paper, a durable and 100% recyclable substrate. The synthetic paper delivers consistent, high-quality results using LED and offset printing processes. Credited with its advanced manufacturing, Hop-Syn offers a variety of grades that are dimensionally stable, durable, printable and more affordable than laminated paper for mid- to long-run applications. Read more about it in the newest report from Hop Industries, “Hop-Syn Over Lamination”. Contact us to request your free copy. For questions or more information, visit www.hopsyn.com or call 800-524-0757.